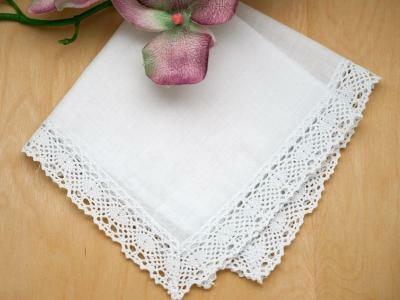 Say "Happy Birthday" to the one you love with this beautifully scalloped edge hankie. 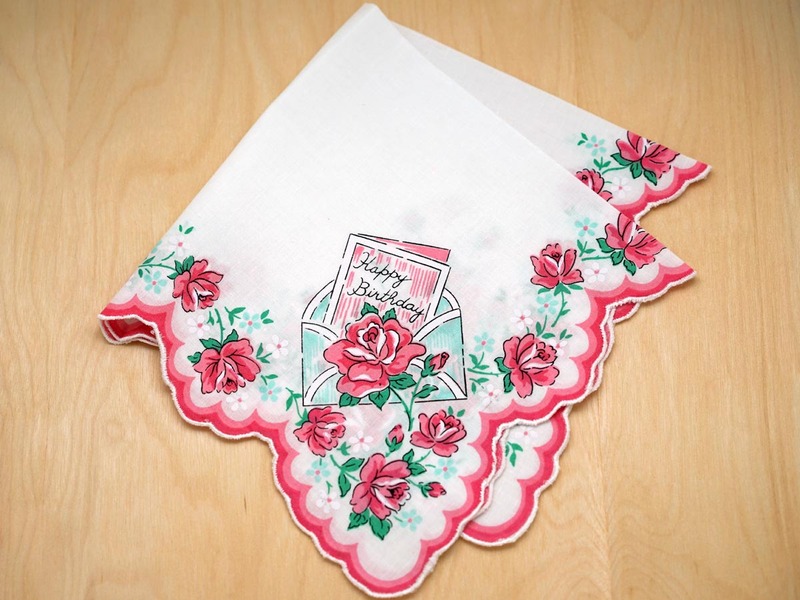 The handkerchief is decorated with pink roses and a special "Happy Birthday" gift message. 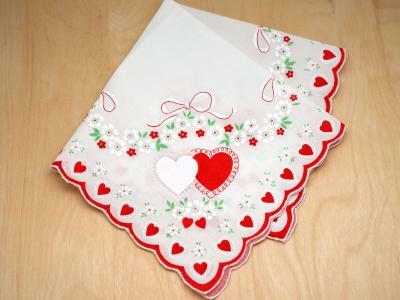 Show that special someone how much you love them today! 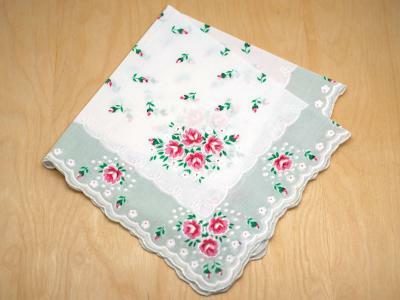 Vintage Inspired Roses Happy Birthday Print Hankie Customers have rated this product	5 out of 5 based on 3 rating(s). 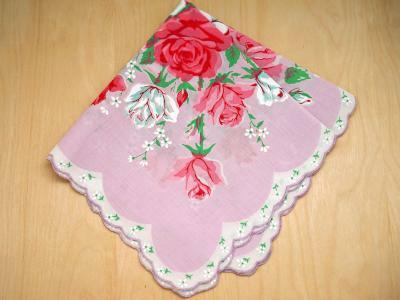 This hankie was purchased for my aunt’s 95th birthday. 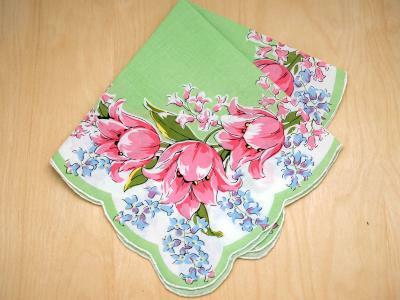 I am sure she will love it since hankies are hard to find! Great quality!.. 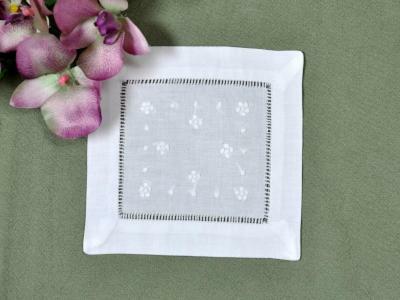 I bought this hankie for a dear friend, she absolutely loved it. Very pretty and a good size. I will buy more in the future! Irene AZ.. I purchased two of these, one for each of my sisters. 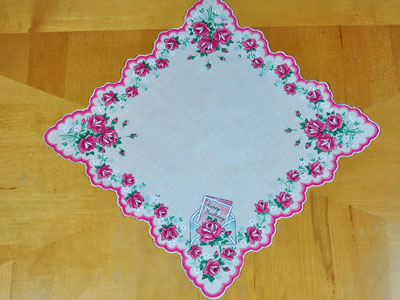 I also purchased 4 others and will put them together as a birthday gift for each. The boxes they sell online here are perfect for 4-5 hankies...and with the clear front I will have the Happy Birthday one on top. These are well made and a good wei..